Caroline Worthington, Director, Royal Society of Sculptors lets WIA in on her plans for the Society, opening their doors to the public, becoming less London centric and what the Society can do for you. Caroline Worthington: I’ve been in the role here for fifteen months now. Before that I was Chief Executive of Bexley Heritage Trust, working for the London Borough of Bexley managing their Heritage Assets. I looked after a Tudor mansion in twenty-five hectares of garden that was box fresh out of a five million pound restoration project by the time I arrived, so that was quite exciting. And then Danson House which was a Georgian villa in a public park, so I just had a small bit of garden to play with. It was quite exciting because when I arrived everyone had come off back-to-back restoration projects, so they were all quite tired and didn’t know what was going to happen next. My challenge was to raise the profile of both those buildings. I’m a curator by training so I was putting contemporary art programmes into these historic houses. And also bringing in the Museum collection we looked after as well. I did that for six years. WIA: Can you tell us a bit about your brief here? CW: The Royal Society of Sculptors has around six hundred and fifty members, all practicing contemporary artists. Fifteen per cent are international. They are selected by their peers, and the Board of Trustees here is very interesting: it’s split into half sculptor members. The President, Clare Burnett, is a sculptor, as is the Vice Chair, and the rest are non-sculptor members. Membership is open to application, but it’s only the sculptor members who can choose. The remit here for me was two-fold: to raise the profile of the organisation (my predecessor here had been here 15 years and done a fantastic job of putting us on a stable financial footing and really sorting out governance); and our HQ, Dora House. The building here is in needs of repair; it’s a crumbling gem, so we are about to embark on a capital raising campaign to restore the building and make it fit for purpose of showing sculpture in the twenty-first century. I knew that was in the remit and the trustees had actually spent a lot of time before I got here discussing whether to sell up and move East, like everyone else is doing, buy a factory and have a white box, or stay true to their roots here. I’m really glad they decided to stay. This building was given to us by one of our members, whose home and studio was here (we’re sitting in what was his son’s bedroom!). But it does need a lot doing to it. We have no hot water, no heating, dry rot, wet rot, rising damp in the basement, it’s complex. Opening up the building and bringing new audiences has been part of my strategy, as well as raising the profile of the Society and members. We decided to start Third Thursdays. Every third Thursday we work with a partner who brings a new audience to the Society and Dora House. Neon Naked Drawing was part of that, and that’s returning. We’ve had London Loom here, Wildlife Drawing who are an absolute hit and they are coming back. We programme something that is actively art based, preferably 3D, and that happens once a month. Sculpture is very much of the moment and people are interested in it. Our sculptors want their work to be seen and talked about. We are the HQ for the Society. The bulk of our members are outside London or International and we’re working hard to push out from Dora House. We’ve just announced a new partnership with Grizedale Forest and we’re waiting to hear whether we’ll get funding to develop a residency programme for members up there. We will take an exhibition we run each year which is currently called the Bursary Award but from next year will be called the Gilbert Bayes award for early career sculptors. That will push our activity North and West, and a bit nearer Scotland and Wales and so on. However, as part of the local community we also get involved in local events as much as possible: the idea of opening up our doors to the public. We started with the Heritage Open Days last September and we’re taking part in those again this year. We take part in the Kensington and Chelsea art weekend and we have partnered through the Exhibition Road Group with the V&A, Science Museum, Mason House and Japan House. We’ve offered lunchtime tours to people who work across that group, and met with local councillors. There will be a big change when we start work on the building, and I want people to support that. CW: One of the things I set about doing when I got here was the membership survey because one thing I really wanted to understand was what members valued about their membership. The feedback was that members wanted opportunities for showing their work, hence the summer show. We’re not able to give 650 people a show, so the summer show was a great compromise. A third of the membership applied, which I was really delighted about. It was really well attended and a great success. They wanted the website to be sorted out, so we went through a rebrand, name change, new website, with a new space for portfolios where members can upload images of their work and information of current exhibitions. They wanted the society to be better known. So we provide a news service, with a newsletter for non-members to tell them about the Society, and a weekly members-only dedicated newsletter, which tells members what we’re up to. We offer bursaries, awards, and hopefully if we get this funding, residencies. We like to talk about supporting members from cradle to grave of their careers. They become part of our archives. We’ve been going since 1904 with Royal Patronage since 1911 and there are records of 1000 members in our archive. And so they become part of the Society’s history, and we are the only professional body for sculptors, so it’s quite a thing. Once you’re a member you are a member for life, as long as you pay your fees. You can step up and become a fellow: fellows are selected from within the Society, any member can put either themselves or a colleague forward. Then that is again assessed. WIA: How do sculptors apply to become a member of the Society? CW: There’s an application process. We open membership twice a year. We’re just about to have membership selection meeting next week, so the next applications open again in January. You have to have had a career as a professional sculptor and the sculptors on the board are very thorough in assessing admissions. 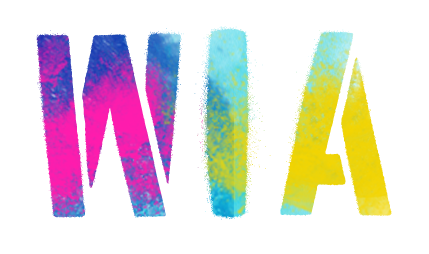 WIA: What advice do you have for sculptors starting off? CW: We run the bursary, and it’s very interesting watching a small number of potential rising stars, and how they approach their practice. I would say the ones that are going to be the most successful are the ones who listen to everything that comes at them from the Creative Professional Development (CPD). This year, each month, the cohort had some CPD: from how to photograph your work; how to write about your work; how to deal with a gallery; what happens if your work goes into a collection (one of the cohort has very complex kinetic and musical work), what happens when that goes wrong. Taking that on board. Hitting deadlines (you would not believe the number of people who don’t hit a deadline). Be as committed and professional as you can be, and take the opportunities that come your way. And keep your eye on the website! 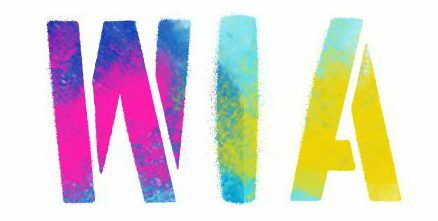 WIA: Do you think there’s a gender inequality in the art world? CW: I think people are beginning to think about it more. Maybe that’s just because it’s year of the woman. There is a perception that there is an inequality and people are working to address it. We’ve worked with Frieze Sculpture in the Park this year and there was a concerted effort there, and in Sculpture in the City, to make sure there were more women artists featured. From the membership here, the membership of the Society and Board is equal. We used to run a project at Napoleon Gardens, Holland Park which was a chance for women artists to put a work in Holland Park and that was supported by the Borough but that funding has stopped. I was asked to curate a project for The Line Sculpture Trail and we were trying to think about women artists who might have work ready to put in the public domain. And actually it was quite hard to think who might have that. I think that can be a problem with sculpture in it’s own right. You make large scale potentially public work, where do you store it? It’s a challenge if you’re making work on a monumental scale. What do you do with it, where does it go? WIA: What does the future hold for the Royal Society of Sculptors? CW: In the immediate future we’re going to exhibition change next week so I’m really excited about that. We’ve got Duologue on starting on 26th September, with Phillip King, who some might say is the godfather of sculpture, and Brazilian artist Alexandre da Cunha. They’re having a small residency in the studio space here. For a week they will be working privately: making, talking, working, and they’ll walk away at the end of the week and whatever they have done, will be the show. A series of maquettes in the salon and one of Alexandre’s works on the Sculpture Terrace. The Sculpture Terrace here is really important. If people can’t come into the building at least they can see something interesting there. I’ve worked quite hard to make that a talking point over the summer with new different loans and partnerships. And that is part of the rebrand in our mission statement. Duologue really plays into that. Our mission statement is that we are an artist led organisation and we support and connect sculptors throughout their careers. We lead the conversation about sculpture through exhibitions and talks. So this idea of two artists being here and making and conversing really plays into this and supports. It’s the first time we’ve put that out publically, so that’s really exciting, and runs over Frieze, which is brilliant. We’re also curating an exhibition at London City Island that’s called Conversation in Colour. This brings together a painter (Paul Huxley, Royal Academy) and an up and coming sculptor who’s work I like, Holly Rowan Heston. Then it’s the Bursary Show in December. After that As a Board we’ll be seriously starting to start thinking about raising funds for Dora House. visit their website, Twitter, Facebook and Instagram.